"Pipedrive Best CRM easy to use with google accounts"
" pipedrive aide à gérer." Les modèles pour envoyer des emails peuvent être personnalisés pour améliorer la conception. Cette amélioration lui permet d’être davantage valorisé, car c’est très professionnel d’envoyer des emails via cette plateforme. Vous pouvez entrer plusieurs utilisateurs et il est facile d’ajouter de nouveaux équipements intégrant ces utilisateurs. Vous pouvez fabriquer et concevoir différents équipements de vente de manière simple, ce qui facilite la création de nouveaux groupes. Il serait bon d'avoir un filtrage par niveaux d'importance de chaque client et de savoir quel est le client potentiel pour vous donner plus de temps et de priorité, ce qui sera mis en évidence parmi les autres clients. la plateforme augmente et organise les ventes, aide à avoir le contrôle de chaque client est très bonne. Depuis que la société a été organisée dans la société, l'organisation des ventes a été fondamentale pour avoir un contrôle plus organisé et pour aider les ventes à augmenter. "An easy to use tool that provides excellent results"
Pipedrive integrates very well with other applications. It does not interfere directly with Intercom. It has an intuitive interface: It allows me to send emails directly from the CRM platform. The price-value relationship is acceptable. I think that the developers of this software should improve a bit the search engine that Pipedirve brings that maybe is not very efficient. Otherwise I do not complain. Pipedrive is a very simple software to use and without going through an extensive teaching process, your employees will learn to use it very quickly. With Pipedrive your work team can manage your weekly and daily tasks. If you wish, you can use the channels to establish and identify priorities by following up on how far an agreement has progressed. 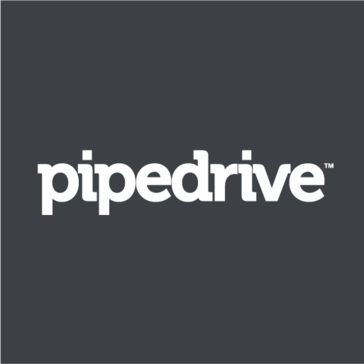 Our experience with Pipedrive has been satisfactory. Thanks to this service we have been able to make better decisions based on all the analytics that this software has given us. We have a lot to thank Pipedrive without a doubt. "Sales management in good order"
"Pipedrive: the best sales manager that I could come across." Pipedrive offers a simple interface that allows you to handle it quickly. It can be formatted and adapted to our needs. It offers excellent graphics as well as an easy-to-understand analytic that can be discriminated on a monthly, weekly or daily basis. The flitros are very useful. It could improve its appearance. Offer more striking colors Better dispose of the menus and submenus. Play with the work area in a better way. Pipedrive is a very useful software to manage activities of nature with customers. From contact information, schedules and agenda, all the necessary information of the portfolio of clients of a company can be managed through Pipedrive. If that is what you are looking for, Pipedrive is the best option. Our experience with Pipedrive has been extraordinary. Thanks to the statistical results offered by the analysis of this service, we have been able to make better decisions in order to allow our organization to grow more and more. "Adapt your products and your sales"
There is a section of Pipedrive that I consider very remarkable. This aspect is the stages of sales. Through this tool you can see the process of a sale from the beginning to the end and you can also check the intermediate stages, that is, you can see a full period of a sale, this gives a specific view on all the elements that have influenced the process of selling your products. Adding new members to the team and granting them roles or functionalities is something simple, you can divide the sales work efficiently, assigning responsibilities and permissions to each of the users that are inside the platform. The activities and tasks that have to be done are much more organized, you can observe that you have to do in each moment, what are your objectives. Having everything ordered makes our teams know what sales should be made and what contacts they have to make. If you want to automate the entire workflow, you must create more users and you must also pay more for the use of these users. I think that it should be possible to automate certain tasks more, without having to get more users. Another aspect that I think should be improved is the integration of more products within Pipedrive. Having integrated Mailchimp helps us a lot to do sales work and marketing campaigns, but it would also be good to introduce other integrations to improve workflow in other areas. A good CRM is basic so that your sales are better managed and to make your teams know better what tasks they should do and what objectives they have to achieve. Pipedrive is a CRM with good features, a great interface and extensive functionalities that help the sales and marketing area to be more powerful in your organization. Selling now is simpler through Pipedrive. We have divided the company by sections and within each section we have several workers who are dedicated to selling specific products. With Pipedrive we have a better organization when it comes to specifying what tasks each one has to perform and the objectives that are proposed to achieve are also better defined. We also analyze sales through the reports we can see in Pipedrive, these reports help us to improve the attention we give to our customers and we can also check through them if our products are working well or we must make some changes to obtain improvements in The sales process. "A CRM and sales platform with streamlined functionality"
All the emails that come to my inbox can be seen directly from within my Pipedrive account. The tool comes with several customizable templates which give you good starter ideas to initiate conversations with customers at various stages of the sales process. It is very easy to set up reminders to reconnect with customers and stay on top of things. The tool is fairly intuitive to use and does not require much time to ramp up in becoming a power user of the tool. The optimization for mobile left a lot to be desired. I ended up having to default to using this on my computer. In addition, the customer filters could be improved to allow me to know more detailed information, to know related information or relevant data in a more easier way. The tool can become very powerful because of the lens through which it looks at sales. It sees it more as a process and series of discrete steps that we should act upon. As with any other tool, you will only get out of it, what you put into it. It's either garbage in, garbage out or a really powerful tool that will help you stay organized and stay on top of things, close more deals, build stronger relationships, and make more money. We benefited from the many visual elements from Pipedrive that help us to break down a full range of data. Being easy for us to set up and use has helped us to focus more on sales and marketing activities and less on technical issues. All of the metrics help us to understand the success and inefficiencies in our sales efforts. We are given an abundance or data that allows us to track our deals from start to finish. We have a better understanding of which clients to focus more on and which ones aren't providing us with significant income. "Get better results in your sales"
A positive part is that Pipedrive serves to obtain all the details of the clients, their information and the contacts that you have made with them to improve the transactions you make with them and also the sale of the products. When you put new contacts in the system if there is one repeated, it is not duplicated, only those who were not before get into the system, which facilitates the work of increasing your list of contacts. The sales report of a large amount of information that can be used to see which periods of time are the most profitable to sell products, which elements have worked better, which changes have been more efficient ... In short to value deep the sales area of your company. It would improve the mobile application so that it had more functions and that it would be easier to work with it. It is somewhat complex to use the application and understand its operation. The sales area of a company is basic and must be worked on in order to improve it. Pipedrive is a CRM that facilitates the sale of your products and analysis of information so you can achieve maximum profitability. Increase the benefit obtained with our products. By better understanding our sales system and being able to obtain more information through personalized reports, we have been able to analyze the data better and know which products are best working and make changes in other products to get more benefit from them. Managing work and dividing tasks among members of sales teams is another of the things we have been able to improve by using Pipedrive. "Great tool with good features for sales." Pipedrive is a tool for CRM with a simple and correct interface that helps to perform all kinds of jobs in a simpler way, the different characteristics that this tool possesses, they can be edited and molded a bit, to the use of each user, that of a greater freedom to use many of the features that work with this tool, is a system that significantly helps to optimize all sales processes that occur within a company, you can perform all kinds of follow-ups to customers, so that each sale is totally effective, you can also customize some of the characteristics of each of the buyers, so we give a special deal to each one, and we manage to specify our sales in greater percentage, we can send our customers all kinds of information through emails and messages from the platform, this connects us much more with them, and allows us to give them a better follow-up. There may be certain types of pauses or delays, when you work on this application, sometimes it may take some time to update certain type of information that is published by one of my colleagues, and I can not see these updates immediately, only after a couple of minutes, although this seems somewhat unimportant, may affect on certain occasions the good performance of the tasks that are being done, since some information given to customers may be incorrect. It is a great tool to perform a control of the different stages and processes in which the sales group works, with this we can make complete reports, of all the money movements that are made daily, and look for new alternatives to improve in the completion of the business we do every day, also allows us to track each of our customers, both old and new, in an effective manner. "The BEST sandbox CRM by far!" The ability to custom make a CRM to best suit your business and it's needs is the absolute dream for any serious business looking to grow and scale, Pipedrive is that CRM! My biggest complaint by far is the limitation on the number of Workflow automations, as of this post you can only have 30 per user account on the Gold plan and 60 on the Platinum plan. For our business, this means we needed to make and pay for additional user accounts just simply for more workflow automations. Also, just more native integrations would be amazing. Zapier does a ton of work for us, but it would be nice to drop the majority of it if possible in the future with some more direct integrations. This is a sandbox CRM, meaning you need to BUILD the entire product to take full advantage of it, this takes time but is well worth it. We have put our entire photography studio on Pipedrive, every step of the client journey from just being a lead in our system to completed ordering appointment and product delivery. For us, this has allowed us to scale our business up like never before while keeping it all organized and under control. It really is the perfect CRM solution for us and one in which we tell a LOT of other photography studios about in our industry. "Software that offers very useful features." Pipedrive offers a simple and well-organized administration CRM. Its interface is intuitive, the menu is very well designed and organized. It gives the possibility to customize it. It allows you to import and combine contacts that are already in our database to avoid the cumbersome problem of duplicate contacts. It allows me to work in conjunction with MailChimp. I really have no negative aspects to highlight from this software. It would improve the response time of your customer service. we recommend that you register for the new customers beforehand in the free version so that they become familiar with Pipedrive's plans. This service lasts 30 days and offers the possibility of knowing how this software works. I assure you that if they try it they will end up subscribing to a Premium plan. "The best software if we want to be productive and achieve excellent results." What I like most about Pipedrive is that it has an interface capable of gathering in one view all the necessary elements such as information regarding prices, contacts (including mine) and activities. Applications for mobile phones offer the same quality as those designed for office equipment, making it easy to use from anywhere. I think that Pipedrive does not have much negative aspects to comment on. Maybe it would be good to have an answering machine in order to save time. However in a general way I have to say that Pipedrive covered our expectations. Pipedrive has not offered great advantages. Thanks to this service we have a meticulous record of our client portfolio that is wide due to the products that we commercialize. "Excellent CRM for the companies"
It helps me to focus on the most important thing I have to do to make sales succeed with reminders of activities, so that I never forget what I have to do and be always present with clients, dedicating time. Sales are easier to do, having in order the stages of the sales process of each client and knowing who opened the emails with the campaigns that were sent to them. I liked the option of having free pipedrive for a few days because I learned that the system was very good and that it was worth paying for the service they offered. "Serves for the progress of sales"
"This is the CRM you want!" Intuitive, works on any device, anywhere, anytime, simple, quick adoption, very affordable. i like the fact that the information about the client is right in front of your within seconds. past deals, past issues, contact info, everything. can't do itemized invoice on smartphone (as far as i know). get a trial and tell your best salesperson to use it. He/She will love it and get others on board and adopt it quickly. Scaling up is a breeze. Highly recommended is the email feature which is two-way synced with Gmail. It saves a tonne of time (and money) by using personalized scripts that are used every day and can be implemented with a click on a button. This feature is one of our greatest 'secret' weapons as we are faster and closer to the lead than our competitors. If one wants to be a step ahead in sales, this is it! sales process/sales cycle. we were all over the place with our lead/potential customers/customers/existing business. We seldom new what exactly the current status of our customer was. that changed dramatically with the implementation of pipedrive. our revenue doubled within the first 2 months. "CRM that helps improve your sales process"
You can review and control the sales system better globally. Pipedrive helps sales to have a greater organization, to structure the data obtained from them in a much more coordinated way for a better understanding of the information. The templates to send emails can be customized to improve the design. This improvement allows it to be valued more, since it is very professional to send emails through this platform. You can enter multiple users and it is easy to add new equipment integrating these users. You can make and design different equipment for sales in a simple way, which facilitates the creation of new groups. You could improve the application for mobile because I think that the optimization is not perfect and sometimes there are connection failures or the information that you put through the mobile phone is not correctly registered inside, which means that you have to check to see if everything It has been introduced satisfactorily. The customer filter could be improved to know more information in a detailed way, to know data or relevant information in a simpler way. Ensuring better organization of your equipment and implementing a better structured sales system helps make the creation of new products more efficient and easier with Pipedrive. We control the sales section better, because with Pipedrive we can divide and manage better both the work teams and the products we want to sell. We have a larger customer database thanks to the ease of creating and managing new sales processes. In addition this database also helps us to see the differences between the different types of clients and to make adaptations to our products. Since the company has been organized in the company, the sales organization has been fundamental to have a more organized control and help sales increase. "Understand the sales process better and improve your profitability"
The emails that you send through this software are displayed directly in gmail, which simplifies the sending and receiving of emails. You can also link to the gmail calendar, which helps you to be informed about the dates displayed on that platform. Apart from Gmail, it also supports a multitude of other applications, which increases the ease of accessing and combining information through these integrations. It should also be noted that this CRM has a great organization, design and is a very intuitive platform, which allows navigating and knowing the aspects of the program in a short time. It also has a large layer of customization that allows you to adapt its use to your needs. Although Pipedrive has a great capacity for personalization and also has a variety of filters to divide and better understand the information, achieving this division of information is very complex, since you must change the predefined filter settings and when you enter too many filters it makes it difficult to understand the information well. For my Pipedrive it is a great CRM that serves to make the sales management process easier to perform and also to analyze for a better future management. - On the one hand the analysis of the won offers where you can see the averages, the time used in each offer, the products won. - On the other hand an analysis of the lost offers where it shows you also the time invested, as you have proposed each stage. In short, the analysis shows you the successes and benefits so that we can improve our performance in the future. The review of the clients, of the temporary monitoring and of the products has also allowed us to increase our market. It is easier to communicate with customers and manage any modification or update of the products. To be able to handle PipeDrive I do not need much time to learn, since the platform is very easy to handle and it is not necessary to have a complex knowledge of how to use it. 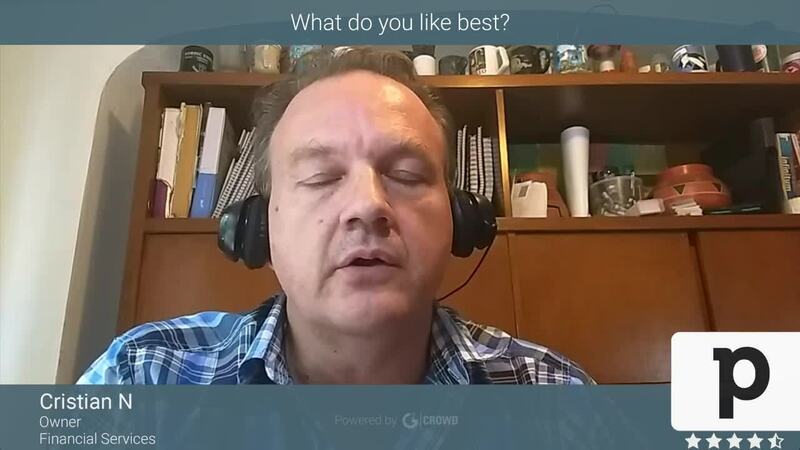 "Pipedrive is the best tool to manage sales"
If you are looking for a service that helps your company improve sales in a simple way and with a simple click I think Pipdrive is the best option. Try it It's excellent. In our institution we have adjusted very well to this service. We used to work with Excel spreadsheets. We can say that we have automated the workflow and we have enhanced it thanks to Pipedrive. The functionality, practicality, and ease of use are the top factors for me. In minutes I had imported my entire database (several thousand contacts). After several years of use, everything I do is assisted by their "pipeline" sales-driven structure, activity-based data, unlimited custom fields, great tech support, and email integration. My team contains several non-tech savvy members who have adapted and figured out Pipedrive and have even grown to enjoy using it to speed up their daily tasks. Workflow automation is a newer feature that I haven't had ample time to explore yet, but several other team members have expressed the dozens of hours—per WEEK— that workflow automation is saving them! I dislike that there isn't an integrated email marketing dashboard (i.e. Mailchimp). There is an integration with Mailchimp that is easy to use but isn't fluid for syncing labels or custom fields. An integrated email marketing system within Pipedrive would be that final touch on an excellent software. I recommend that you drop what you're doing and sign up for a trial of Pipedrive. After 14 days working with your data in Pipedrive, you'll soon be asking yourself: How is this software this inexpensive? I solved the need for a cloud-based CRM. Our company had everything in Access. No need to explain the obvious problem there. Benefits: activities, tech support, pipeline view, and the concept of deals to drive action and sales. "Great CRM for the SME, the solopreneur and every salespeople on the road"
It is a very flexible and powerful software, but with the right price. You don´t need a system expert to implement it. Also, the mobile app allows you to update the information on the road. The automation feature saves you a lot of time and the visibility for the rest of the company allows a great team job. Goals setting feature is very useful in order to get the goals needed. If your email service provider is not one of the "big names", you might have issues with the sync feature. The dashboard is kind of simple. Even though is very easy to implement, there must be a person willing to become the "owner" of the system inside the company. You must take a few days in order to analyze your sales process and then run the set up of the CRM accordingly. Salespeople can focus on the most important activities for every lead. Also, is very simple and user-friendly. It allows for great teamwork and management of the sales team gets easy. "Makes it easier to manage sales"
"The best for getting you organized, getting emails out and things flowing"
I had a nightmare of a sort. The prior year I had taken 13 years worth of Linkedin contacts and put them into Hubspot. I started to organize them there but found the UI clunky and not intuitive. I used it as a bcc catcher for email activity. This year I am getting more serious about biz dev in different channels and needed a solution that could get me organized, and integrate into Mixmax (my preferred email tool). I tried Zoho and didn't like it and didn't even start with Salesforce's entry-level because of the cost to get it to the point where it would integration with Mixmax. I kept looking at Pipedrive and like the UI of it's exterior. Checked out a video and decided to give it a try. Hours later I was getting my contacts organized (after an awesome import process facilitated by Import2.com that Pipedrive provided), i had developed a quick and efficient process of updating the contacts while I entered them into sequences and had customized fields to break this down into both a sales funnel and a recruiting funnel. Needless to say, I was impressed. I upgraded and bought a year of Gold when I hit the limit for the smart data that Pipedrive provides you for each contact queued off email. I can't wait until I upgrade Mixmax to Enterprise and can experience the full integration there. You can build sequences to run off of events in Pipedrive which can be triggered by other things like Contact forms. The automation that a non-engineer can build into a website now is amazing, and I encourage anyone reading this to learn about and experiment with different integrations. If I had to get picky perhaps being able to specify on the Pipeline projection on the deal stage what number to project. I don't want to see the amount from leads, but from contact made. Perhaps you can do this, I may need to dig into docs a bit more. If you are starting a business and are ready to get serious about sales by a year of Gold. You get two months for free, Its about $260? I think, and worth every penny. Building a sales funnel for my consulting business. "Active management and sales organization"
"Confirmed sales statistics in the month"
There are many good things in pipedrive as being able to manage the administration of the incomes that are being received each month to have a clear vision of the results in the sales and to know how much was sold and if the month was good or bad according to the statistics that It gives me pipedrive. Being able to divide by categories is very good, it also helps to know which product sells more. The support is delayed in answering my doubts, when I started using pipedrive I had many doubts as the normal people of how things were handled tried to contact me through tickets and they responded to me the two days that already for me that is delayed because if I wrote to them it was because I needed to solve my problem immediately and not two days or the next day they answered me how I could solve my doubt. this is the only bad thing I have to say about the rest, it seems good to me. "Better workflow so that it yields more"
The option of having all the base ordered and putting red, green and yellow to know the state in which the client is, makes my job easier because it depends on the color I have if I have already completed everything with the client or I am missing by calling him and completing some of the purchase. The support is very good, they respond quickly and are attentive in case I need them to solve something. I pay the platinum plan every month to continue with the services of Pipedrive I pay with my visa card but it has happened that I rejected the payments and it is not the fault of the card it is the fault of Pipedrive and even though it has only been twice it has left me without the services like two days. Being able to have everything more organized makes the work faster and makes me have a more detailed report about each client as the process goes with each one or that I need to complete. "controls and keeps customer records"
I use the application on the cell phone a lot since I go out a lot from the office and I'm scheduling the calls Pipedrive has to do so when I get to the office I synchronize and do them. While I'm in the street, taxi, restaurant or wherever I'm working in Pipedrive to go forward work for when I get to the company and I have most of the work ahead. Twice it has happened to me that when renewing the payment it is loaded and I have to return to make the transaction but later I realize that I charge it twice although they give me back the money it is very annoying to be writing to support to solve that. It helps a lot for the time saving and that makes me more at work so that I can spend my time that I was going to spend in calling clients I can do in other things of my work. We are a small company but we wanted sales to be like those of a large company, so that's why I decided to call on Pipedrive's help. More than that, I liked that the plans are very economical for a small company that does not have many resources. "Must have for anyone in sales"
I've tried many of the other CRMs out there and found that they are either too simple or very complex (SF). PipeDrive seems to have just the right amount of features, is intuitive, and the reporting keeps me honest in showing me exactly what I have done, and what I need to do. I am concerned that if they keep adding in features that it will become bloated and too difficult to use. The challenge with using any CRM is the time it takes to set up - to customize with your sales process and data. We spent a considerable amount of time on data entry on HubSpot and Zoho only to find out that they just weren't a great fit for us. I was hesitant to start using PipeDrive at first but it didn't take long to see that this would be the one we were going to use for many years. Keeping all of my prospect records in one place, keeping track of activities, and my unique sales process. This gives me the confidence that I need to be in the right mindset to sell better. I really like how user friendly Pipedrive is. I just started using it about 2 months ago and I found it a pretty easy transition from Salesforce to Pipedrive. Managing your pipe and moving deals along the pipe is also very easy. I do not like how I am unable to understand how to fully use Pipedrive. I am very confused as to how I am supposed to set my tasks... am I supposed to set a new task everyday, or keep the same task open when trying to contact a client... I will never know. I also get very annoyed when I mark a task as "done" it prompts me to make another task. I do not want to be promoted of this, I can create a new task if I want to create a new task. In addition, the filtering system is a little confusing, but i think with time it will be easier. Working for a startup I have not been able to use Pipedrive to its full potential yet. But I do see it benefiting me in the future, especially with pipeline management. "mail synchronization very good to manage"
customize the signature to have a more professional side makes the company more experienced and synchronize emails with pipedrive to specify the main customers and know who is sent the first information that is important, and what I like most about this platform is how it monitors the openings of the emails sent. The experience acquired with the platform makes the company more expert in customer management and marketing is noted by the sales and by the comments that customers make of how safe they feel with us as a company. "Big help for customer data"
It is easy to use, all the way. Not much training is needed to get the hang of things. It integrates seamlessly with other sales tools to give a great solution for sales. Easy to customize, and it looks nice! The support offered is also great. Pipedrive does everything I need a CRM to do for my small business. I launched my business 6 years ago. I tested a number of CRMs at the time but needed something a little more customizable. Pipedrive was easily the most customizable CRM I tried. I don't necessarily like the pricepoint for being able to use the phone plug-in. I would love to be able to make my calls directly from my CRM but I can't justify the cost/month. Pipedrive is very functional and customizable for most businesses. There are also a number of plugins available to integrate Pipedrive to your mass email/mailing functions as well. I'm an independent insurance agent. At any one given time I could have 50+ people in my pipeline between prospect to paying customer. In some of those cases, the sales cycle can be 6 months or longer. Pipedrive allows me to manage a large number of clientele effectively and keep track of all contact and communications. By setting reminders, I can remind myself when it's time to come back around at some point in the future when I've long forgotten what was required. "Simple and the perfect fit for our small sales organization!" As sales manager, the initial set-up for my entire team took me about 2 hours and then we were able to use it. We've made a few tweaks along the way, but haven't made any dramatic changes. Our previous CRM took a team of three people 5 months to set up before the team could use , and then it was extremely confusing. Pipedrive makes it all so simple! I do wish that we could set daily call/email/activity goals for each sales rep. It's easy enough to track, but having them know their a goal being tracked would up productivity. Watch the great videos that they have in their blog on on their YouTube channel. They give you a great perspective on what Pipedrive does and doesn't do. Pipedrive saves the entire team so much time and streamlines our sales process. We are able to close deals or weed out bad deals much more quickly now, and we've seen our sales improve about 20% this year. We talk about them throughout the sales process and I really enjoy how Pipedrive conceptualizes them. Creating a person, an organization and a deal is extremely easy. It is also set up to keep you informed of phone calls. The new dashboard also offers a surprising view of the activities, forecast sales and the security with which the customer data is kept. I would like to have more filters for the clients. For example, in the previous Software, we could filter the client, for example, by the sales that he made, and this client was more important to us. We use Pipedrive to monitor and expand our customer base. We also use it as an administrator of time, we plan meetings. But Pipedrive is much more, it still has many functions that we do not use because it costs us to reject other software solutions. We can also import data, even from another CRM. Clients are maintained and sales are better, analyzing this part of the company. "Keeps us from double selling"
I like that we have several sales people on our team using the system, but we can keep our own account in line with what we are doing, and see their pipelines when necessary. Sometimes it's hard for me to keep my account as organized as I need it to be when I'm in a busy sales time and have a lot coming in. It's good for any size business. We used to have a team of 6 and now there are just 2 of us. It has kept their information in the pipeline so it's super helpful even after they have left. We have several sales people in different territories but have people in our pipeline from a year or more ago that we can easily overstep. With pipedrive, I can easily see who other reps are working with and where their touch points are. "A great CRM for quotation focused workflow"
Everything is there without much need for customization. Pipelines can be customized easily and without any programming. Visibility of emails and activities tied to a job make it easy for someone else to help out a client when the owner is not available. Assigning and scheduling of tasks with reminders are a great way to keep track of what needs to be done by what time. For now, the private and public access of emails. There needs to be one in between the current settings that assumes emails are private until you associate the email with a deal (and not a contact). Integration of outlook. Some of our users don't like the fact that they have to use the mail screen in the browser rather than outlook. Also, email visibility to other users is quite extensive. There are sensitive emails that I don't want anybody to access but the default is that if the contact is created in pipedrive, it is shared and viewable to everybody. Management and tracking of quotations. Very quick to see what actions have been done by various members of the sales force. Reporting of results, hit rate, loss explanations and amount of quotations. "Easy to learn, clean look and ease of flow"
How easy it is set up your email connections, groups and adding notes and reminders, I trade options every day and own rental houses this keeps me busy, since I just started a new factoring business, without pipedrive I would miss tasks, engagements and most important upcoming connections. In all honesty, have not experienced anything negative att is time, If I do I will be sure to give my thoughts and why. It will save you one day, from embarrassment forgetting someone or something, just the organization alone is great, tidy and will keep you on track. Problems solved is just staying in focus, keeping an order of clients, being able to remind myself of dates, meetings, where I left off with a client, and best of all who we gained as a client and who we did not and go back to find out why we didn't. "The best CRM experience I`ve had so far"
I love pipedrive. Already used a lot of sales pipelines (like Moskit), but Pipedrive is more complete, more solid and more reliable than anything I`ve ever used. I use pipedrive integrated with a lot of other services (RD, Zapier, Google Agenda and Gmail), and everything just WORKS. Started using it to manage all my leads (inbound and outbound), and as my sales team grows, I realized is really easy to setup everything. You can customize your pipeline, create filters, manage leads, record e-mails, schedule activities... Is really easy to use. I recommend. The support is amazing, also. Is really hard to find out something I dislike at pipedrive. The filters are not so easy to create, sometimes I felt lost integrating the API with some other services (but it wasn`t Pipedrive fault), and if you have a lot of leads, you'l eventually be lost. If you need a CRM manager, use Pipedrive. Really. Don't consider any other. The support is amazing, is really easy to use, you can integrate with a lot of other services and the management is really, really good. My biggest problem was managing all my leads. I have a lot of leads in a lot of stages, and i needed to manage the sales team leads also. With Pipedrive I can create outbound leads, receive inbound leads, manage leads from my team, transfer and export in different formats (like xls. to manage in a different database), and record all the communication in a pleasant timelime. This made my CRM easy-peasy-lemon-squeezy. * We monitor all Pipedrive reviews to prevent fraudulent reviews and keep review quality high. We do not post reviews by company employees or direct competitors. Validated reviews require the user to submit a screenshot of the product containing their user ID, in order to verify a user is an actual user of the product. Hi there! Are you looking to implement a solution like Pipedrive?